Here’s a link to this week’s prompt. I’ve never named a baby, and, barring unforeseen circumstances, I never will. If I did have the opportunity to do so, though, I’d pick one of these characters both because they have beautiful, classic names and because their names would work just as well for babies as they would for children, teenagers, adults, and senior citizens. There’s something to be said for picking a name that grows with a person like that! Cameron has a fantastic backstory. He’s a gay man who grew up on a farm in a very rural part of the United States. As an adult, he moved far away from home, but he’s never forgotten his roots. 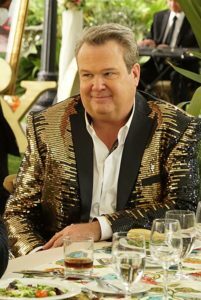 There have been many references on Modern Family over the years to all of the things this character misses about rural life, from football games to the joy of having pet pigs. I love the fact that he honours his heritage while at the same time living in a place that has more opportunities for his husband and daughter. Randall was transracially adopted by a white family when he was a baby. As an adult, he’s a dedicated husband and father who – spoiler alert – decided to become a foster parent in order to help the next generation and pass on all of the positive things he learned from his family. I love seeing the flashbacks to his childhood just as much as I do watching him navigate adult responsibilities and conflicts in the present day. He’s such a nerdy, funny, and genuinely kind person. All of those traits are things I find quite appealing. (Yes, it’s possible that I have a little bit of a crush on this character). Ideally, Celie and Sofia would be twins, but they could be non-twin siblings, too. 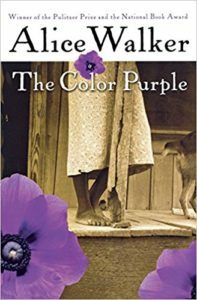 I loved the relationship between these sisters in this story, especially after their lives grew difficult and they couldn’t see a way out of their troubles for years at a time. My hope would be that any children named after them would have the same resourcefulness…and happy ending! 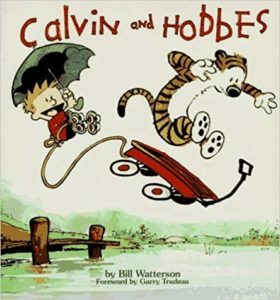 Yes, Calvin was a mischievous character. Sometimes he was downright naughty, but he was also incredibly intelligent, imaginative, and resourceful. I always admired those parts of him. He definitely gave his parents a few grey hairs growing up, but I’d bet all of his positive qualities would make him turn out to be a wonderful adult. Who would you name a baby after? Great choices! I have some bad associations with the name “Cameron” which bums me out because I love it. Funny how that works! Growing up, I always wanted to name a daughter after my favorite aunts (Julia Mae), and then as it turned out, my husband’s ex-fiancée was named Julia, so THAT was a no go, lol. Oh, funny! It’s interesting how people’s opinions of certain names are so influenced by the folks they’ve known in the past. great post!! names are important – in life and in fiction! You’re welcome. I didn’t know you were a fan of that show. It’s a great one. Love it! I definitely like the names Charlotte and Cameron. 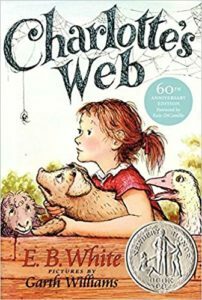 I like the main character from Charlotte’s Web, too–Fern! Glad to hear that. Yes, they’re all solid names. Great post and great names. 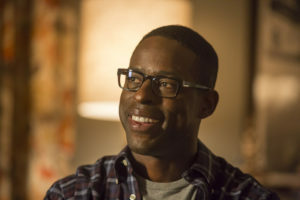 I LOVE Randall… actually, I love everyone on the show. Thanks for stopping by! You’re welcome. Yes, Randall is the best. Love Calvin. I used to read those comic strips every day before I went to school. 🙂 Great list. Thank you very much. Yes, that comic strip is a real classic. I love Calvin and he’d always be famous. Just like Charlotte. Great names. Those are great choices! I like Cameron and Fern. Charlotte! I remember how much I loved Charlotte’s web. It’s a real classic for sure. Heh, thanks. It wasn’t an easy question to answer for sure. Great choices – I love Randall! Thank you very much. Yes, Randall is the best. But a name I’d give a child might be Lewis, after Lewis Jones. First, I want to say that I appreciate and am impressed by the way you always respond to comments. Not just _that_ you respond, but the kind manner in which you respond. I read this post a few days ago and have pondering an answer, but I haven’t been able to come up with a list. However, my folks tended to name their dogs after literary characters. I was going to list them here, but then realized that too many sites want to know about pet names as security questions. My daughter we named Meredith our son is Avery. Not long after Avery was born, but after the birth certificate had been filed, Meredith came to us just FURIOUS because we hadn’t thought to name the baby “Peregrin” so that, together, they could be Merry and Pippin. That was over twenty years and she’s still a little miffed. Honestly, if she’d thought of that sooner, we would have considered her suggestion seriously. Hey Lydia, love your blog! Would love to participate in your guest blogging opportunities on Wednesdays. Is there a way to contact you directly? Hi Lisa! Could I email you at the email address you gave when you left this comment?